It’s a real pleasure to take part in this Book Tour organised by Brook Cottage Books and introduce you to author David Burnett and his third novel To Fall in Love Again. My most treasured moments are the hours I’m able to spend in a comfortable chair with my Tablet and Kindle App engrossed in an absorbing story. Although I enjoy all types of novels, especially mystery, thrillers, historical, women’s and literary fiction, I have a weakness for romance and character driven novels. I’m interested in reading about people and how they feel, make decisions, cope with life’s conflicts, grow emotionally, and develop lasting relationships. To Fall in Love Again is one such novel. It’s a novel about how people meet and fall in love, and the conflicts which inevitably arise as relationships progress. No couple is an island, and Drew and Amy have a background, a family, friends, and neighbours which influence how they relate to each other. Most love stories portray beautiful and forceful, young protagonists, who are usually struggling to make their way in life professionally, often with a view to eventually having children, and setting up a family. To Fall in Love Again is different. It’s about two middle-aged characters who have had a family, and lived through a first courting, marriage and children. In fact, they are two widowed young grandparents, in their fifties, who meet quite by chance and fall in love. They have no time to lose, but they are also level-headed, mature adults, who seem to know what they want, and are in control of their lives. However their idyllic first encounters are soon disturbed by conflict deriving from the rest of the characters they are involved with, such as children, friends, and colleagues, who have very diverse backgrounds and expectations, and are often annoyingly interfering. The novel is about how Drew and Amy meet, fall in love, and overcome the challenges their relationship faces. It’s also about relationships between various generations; adult children and their parents, as well as grandparents and grandchildren. It’s about trust, deceit, misunderstandings, meddling gossips, social prejudice, and how these aspects invade their lives and almost ruin their chance of happiness. It’s also about second chances, forgiveness, and the value of love, friendship and trust, as paths to happiness and fulfilment. It’s a novel which takes you up and down with the characters’ emotions, but finally, you feel optimistic and happy when you finish reading, because although it wasn’t easy, Drew and Amy made it. This isn’t a spoiler, because readers know this is a HEA, romantic novel. Readers will not be concerned with the outcome itself, but with how the expected outcome finally occurs. I enjoyed the setting, too. I felt as if I was walking along the streets of Charleston with Drew and Amy, and learnt about some of the social and cultural aspects of this beautiful city, which I have not yet visited. 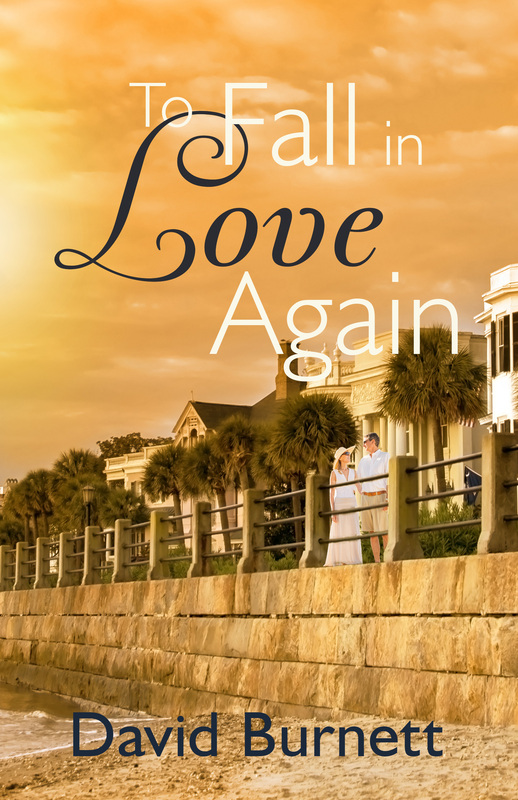 To Fall in Love Again is a love story about authentic characters who are offered a second chance of happiness. It is very well written, and is easy, pleasant, and satisfying to read on a cosy winter evening. I’d like to thank the author and Brook Cottage Books for giving me the chance to read and review this novel and take part in this Book Tour. David Burnett lives in Columbia South Carolina, with his wife and blue-eyed cat, Bonnie. He has two daughters and three grandchildren, and enjoys traveling, photography, baking bread, and the Carolina beaches. 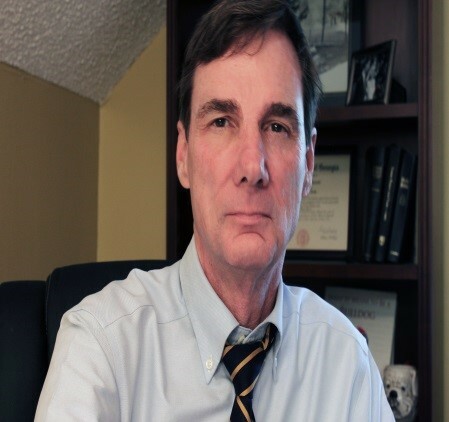 He has a degree in psychology and education, and was formerly director of research for his state education department. ← Book Review: Captain Frederick Wentworth’s Persuasion by Regina Jeffers. Lovely review, Luccia. I can see you sitting in your comfortable chair,reading this. I love that it’s set in Charleston, one of my very favorite cities. I’d like to visit one day!